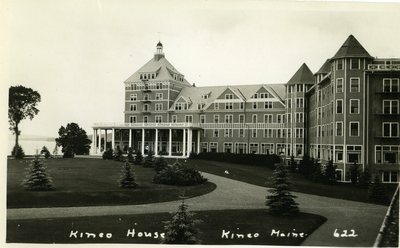 This black and white photo used for this postcard shows a side view of the Kineo House and Resort located at the Mount Kineo, Moosehead Lake, Maine. There is no indication of the date the image was taken. It is marked with a number, 622, in the lower right.